Join the Illinois Writing Project on February 28th as we welcome Dr. Troy Hicks. What: Can I Cite that? Examining what counts as evidence in a digital world. When: Thursday, February 28, 2019 4:30-8:30 p.m.
Main presentation: In an era of fake news and alternative facts, we need to help students understand what “counts” as evidence in academic writing. Long gone are the days when writers could simply trust a “.org” or “.edu” site, or be told to simply dismiss Wikipedia. we will examine how to guide students as they use different kinds of text (including images, videos, tweets, blog posts, and more) for evidence in argument writing. Dr. 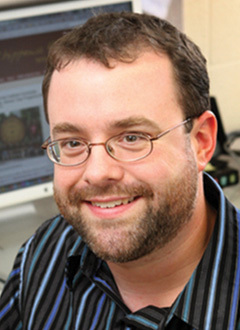 Troy Hicks is an associate professor of English at Central Michigan University and focuses his work on the teaching of writing, literacy and technology, and teacher education and professional development. A former middle school teacher, he collaborates with K–12 colleagues and explores how they implement newer literacies in their classrooms.